Leo Health Horoscope 2019: You May Face Health Problems, But Jupiter Will Support You! You may not face health issues around the beginning of this year, but take care of minor or major viral infections. You will get full support of Jupiter. But, you will remain tense due to some worries or sudden expenses on the professional front, informs your Leo health horoscope 2019. Hence, you must remain cautious to avoid physical and mental health issues. Health will not be a concern between March to May. But, it may deteriorate in June, and then improve in July-August. Stay alert during December, as you or your father may fall sick; doing some exercises and yoga throughout the year will be beneficial for your health. Take actions as per your health horoscope 2019, this will help you to improve your health and well-being. Exercise well, eat a balanced diet and kick of the extra weight this year encourages your 2019 Leo health horoscope. If you are going through stress go for some yoga classes and meditate daily to attain mental peace. Work stress can take a toll on your health. Don’t overthink situations just stay calm and don’t skip meals. Before going to work have a good breakfast rich in proteins to keep your energy levels high. If you are having a certain health issue at present, make time for check-ups and keep a track of your medication and improvement on your health. If medication isn’t working, go and consult another doctor. Eat as per what is recommended by the doctor and you won’t have to face any health issue this year as per your Leo 2019 health predictions. Avoid junk food and take care of your stomach. Also drive carefully during May and June; else you may meet with an accident says your Leo health horoscope 2019. Those suffering from blood pressure should avoid stress. However, due to the favorable aspect of Jupiter, the possibility of any major health problem will be less. Diabetes patients must especially remain cautious, as there is a strong possibility of suffering from gangrene. Consult a proper doctor if such a situation arises. According to Leo fitness horoscope 2019, it is very important for heart and diabetic patients to be very careful this ear. Avoid eating healthy street food. Eat food at home often and stop consuming alcohol. 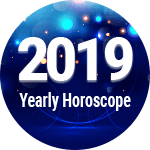 Overall, your Leo health horoscope 2019 evinces that this year will prove to be beneficial on the health front. 1. Do not be a victim of obesity by the consumption of unhealthy hazardous food that could be detrimental to your physical and mental health warns 2019 Leo health horoscope. 2. Visit the doctor often and go for regular checkups. Don’t wait until the sickness devours you fully. 1. If you maintain healthy eating habits and always visit the doctor on time, then according to 2019 health horoscope for Leo you will enjoy the benefits of good health. 2. Work towards your fitness goals this year and they will be successful indicates your Leo health horoscope 2019. Leo Health and Fitness Horoscope 2019 Overall rating: 4.5 out of 55 based on 1016 reviews.